Object: Provision of Radar-Satellite remote sensing control services for the production of images including right of use and distribuition within the Brazilian Government, as per technical specifications and quantities provided in the Basic Project 01/SAR/COMAE/2018. Closing Date/Time: 6th March 2019 at 3:00 pm. For full details please: CLICK HERE. Para mais Detalhes: CLICK AQUI. 1º FORM - 2 Questionamento. 2º FORM - 3 Questionamento. 3º FORM - 6 Questionamento. 4º FORM - 7 Questionamento. 5º FORM - 10 Questionamento. 6º FORM - 13 Questionamento. 7º FORM - 9 Questionamento. 8º FORM - 14 Questionamento. 9º FORM - 1 Questionamento. 10º FORM - 11 Questionamento. 11º FORM - 24 Questionamento. 12º FORM - 19 Questionamento. 13º FORM - 18 Questionamento. 14º FORM - 22 Questionamento. 15º FORM - 20 Questionamento. 16º FORM - 23 Questionamento. 17º FORM - 25 Questionamento. 18º FORM - 27 Questionamento. 19º FORM - 28 Questionamento. 20º FORM - 21 Questionamento. AVISO DE PRORROGAÇÃO - BIDDING PROCESS 001-BACE-2019 . NOTICE OF EXTENSION - BIDDING PROCESS 001-BACE-2019. AMENDMENT Nº001 - BIDDING PROCESS 001-BACE-2019 . ERRATA Nº001 - BIDDING PROCESS 001-BACE-2019 . AMENDMENT Nº002 - BIDDING PROCESS 001-BACE-2019 . ERRATA Nº002 - BIDDING PROCESS 001-BACE-2019 . AMENDMENT Nº003 - BIDDING PROCESS 001-BACE-2019. ERRATA Nº003 - BIDDING PROCESS 001-BACE-2019 . AMENDMENT Nº004 - BIDDING PROCESS 001-BACE-2019 . ERRATA Nº004 - BIDDING PROCESS 001-BACE-2019 . AMENDMENT Nº005 - BIDDING PROCESS 001-BACE-2019. ERRATA Nº005 - BIDDING PROCESS 001-BACE-2019 . MEETING MINUTES 01 - BIDDING PROCESS 001-BACE-2019 . MEETING MINUTES 02 - BIDDING PROCESS 001-BACE-2019 . 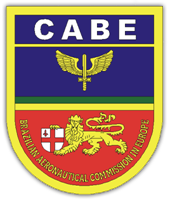 Object: Hiring of service space for the storage of materials and documents, belonging to the Brazilian Aeronautical Commission in Europe, according to Basic Project 03/DA/2019. Closing Date/Time: 11st March 2019 at 11:00 pm. MINUTES NUMBER 01/BP03/2019 CLICK HERE. TERMO DE ADJUDICAÇÃO E HOMOLOGAÇÃO - CLICK HERE. Closing Date/Time: 28th February 2019 at 3:00 pm. MINUTES NUMBER 01/BP02/2019 CLICK HERE. Object: Invitation for Registration or Updating of Suppliers.